I loved this book! It was so freaking good, I just can't believe I waited so long to read it. I know why I waited so long but I wish I didn't. I don't usually like books that I think are too hyped up and I definitely saw this book all over my Instagram page. It was worth the read, though and I hope other people give it a chance. Unlike most books, the romance was not the focus of this book. 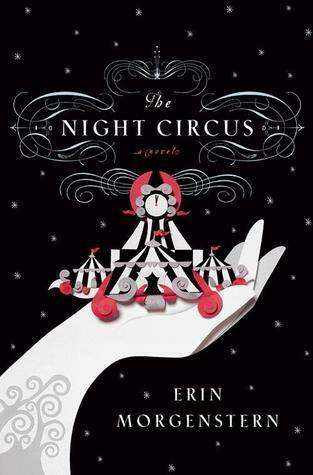 The Circus was at the center of this book, not the characters or anything else. It took me a little while to get used to that because I'm used to characters being the main focus of a book, not a place but it was kind of cool. I liked all of the characters because they were all so interesting. That's always the best thing about reading a book about a carnival or circus, the characters are amazing. Celia and Marco were great together, of course, I would have liked to have had more scenes with them together but I adored the few I did have. I did think it took her too long to figure out who he truly was, though. Poppet and Wiget were some of my favorite characters as well. I liked how you pretty much watch them grow up in this book. They really grew and matured in the pages. I had to learn to pay closer attention to the year at the beginning of each chapter or I was very confused after a while. It was a little weird to have each chapter be a different year like that but it was probably the best way to get everything that needed to be in the book in there. If you like magic, illusions, the circus and everything weird then this is a book for you. There was so much in this book that there was no way I wouldn't like it.